What is the price and what is included in the basic Rear HD Bumper? ​What accessories are available or coming soon? 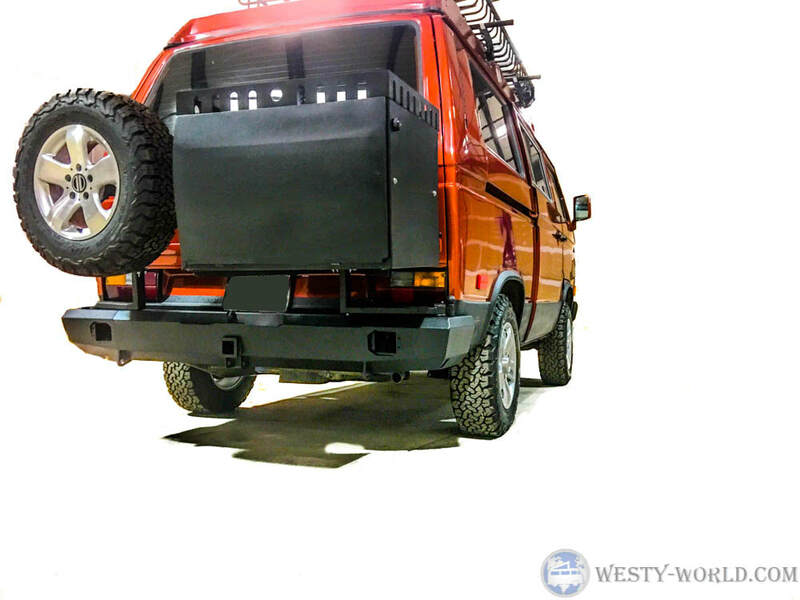 Enhance the protection and style of your Vanagon with a Westy-World HD Rear Bumper. 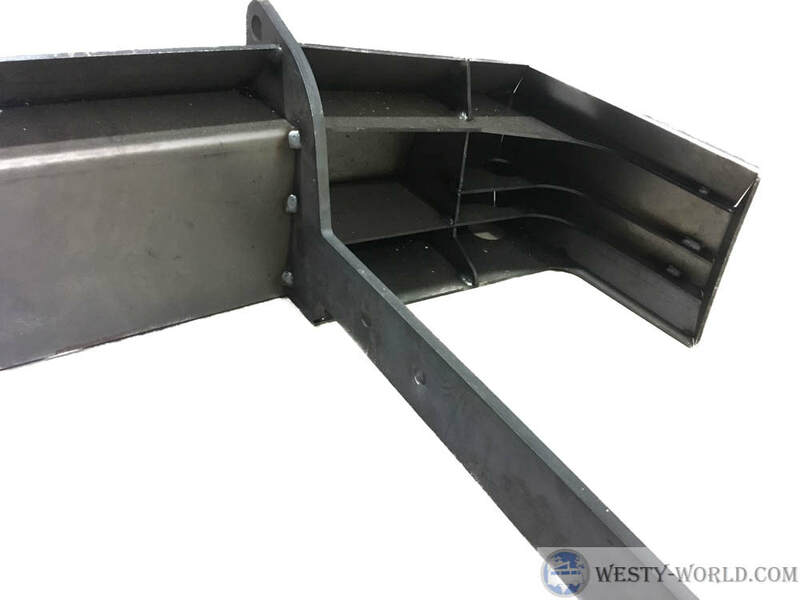 It is professionally engineered with structural internal supports. 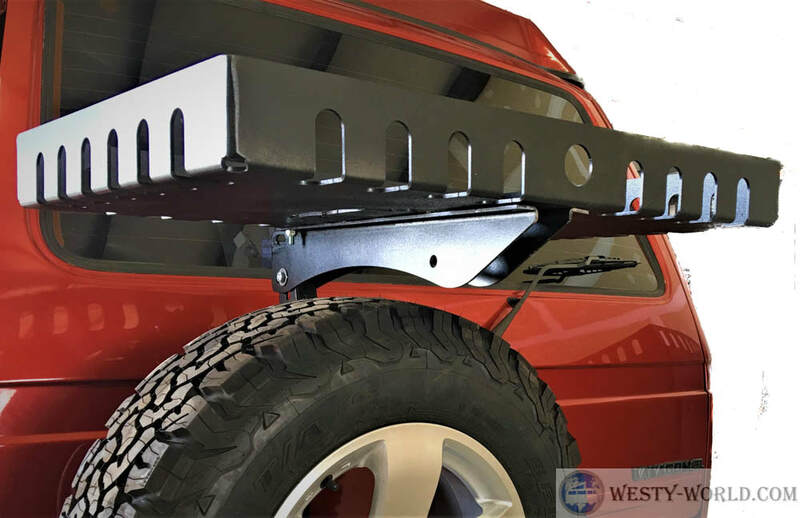 Bumper shell is constructed from higher quality cold rolled 3/16" steel and fully welded into a 1 piece unit for rigidity, strength, and safety. 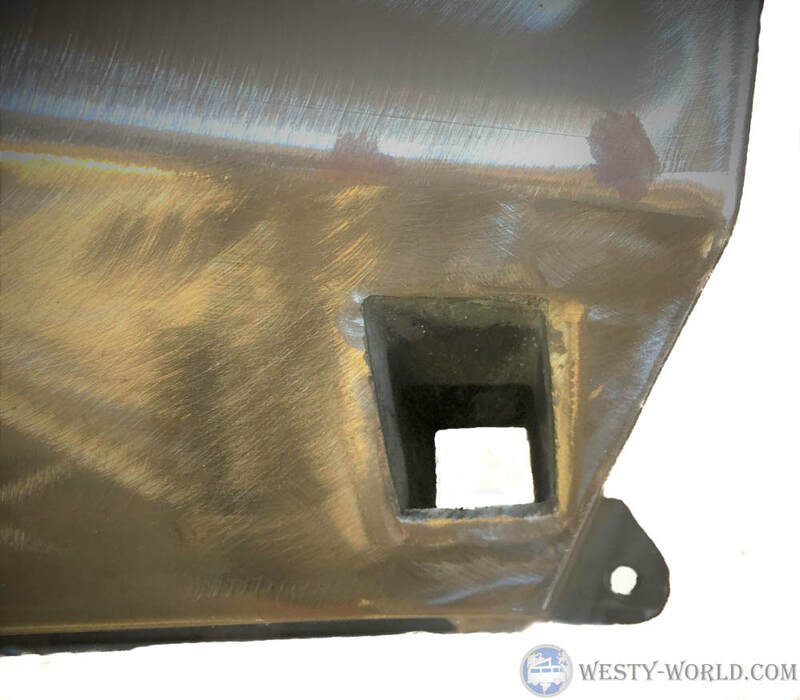 Each bumper internally will have welded in swing arm guide brackets. Not shown in picture but will have removable flush cap for swing arm attachment. Swing arm sold separately. 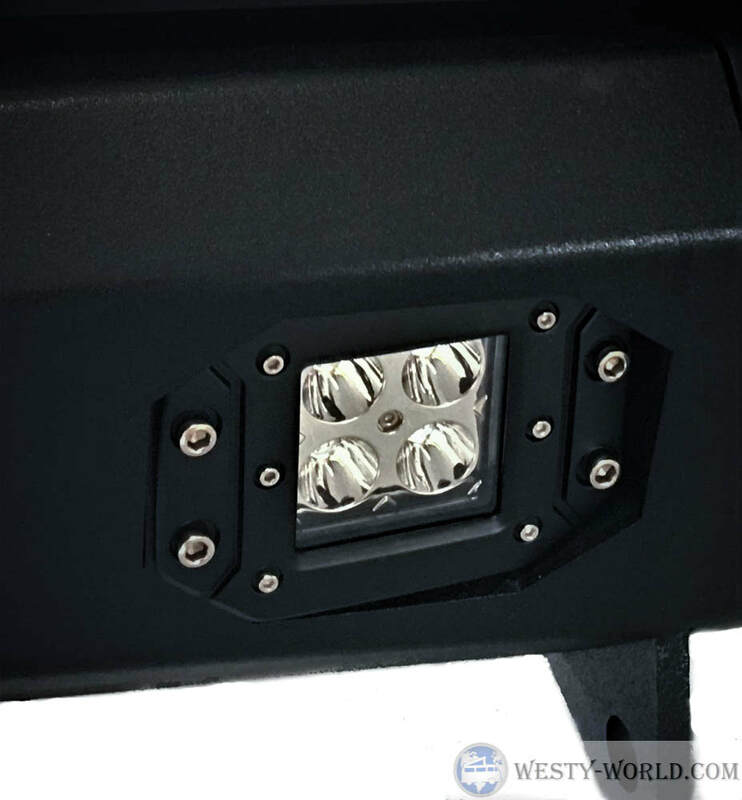 Included in every rear bumper is a 2" receiver and a locking storage box. Add side 1 1/4" welded in receivers for attachments. 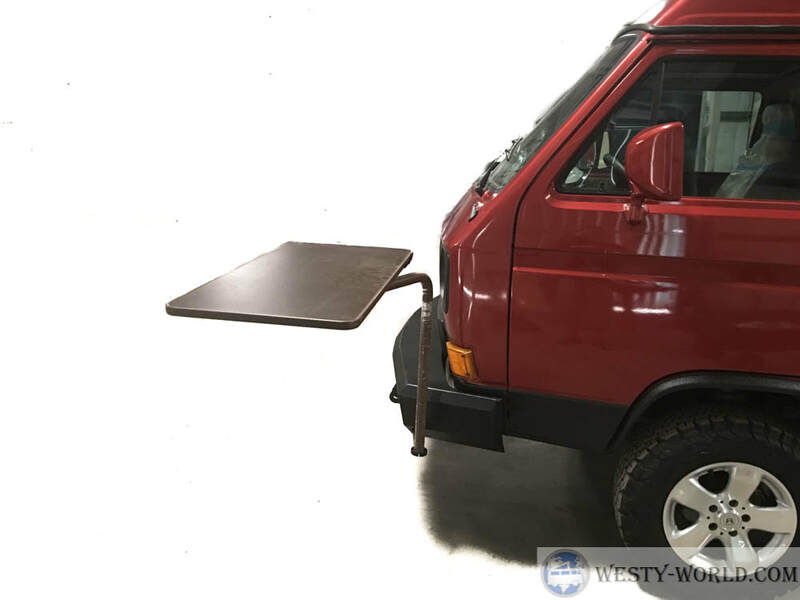 Works with inside table, hammock attachment and future accessories. 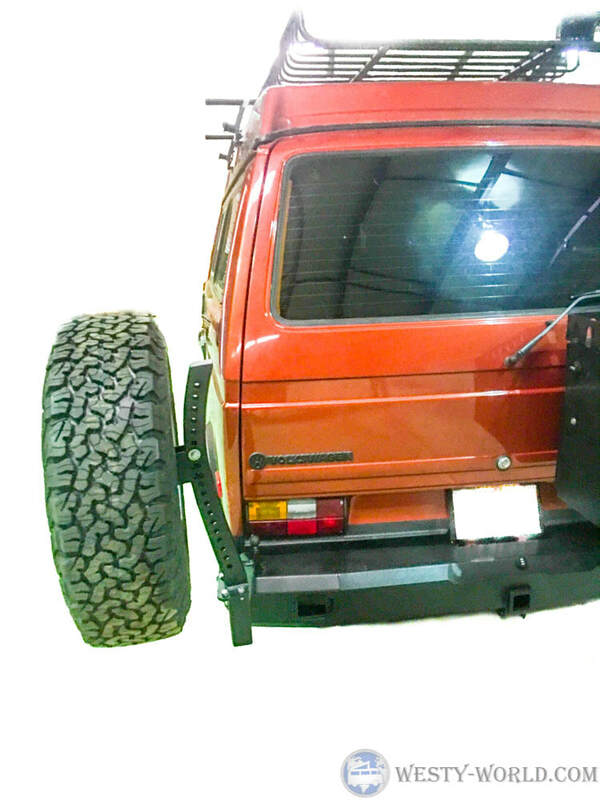 Table leg attachment fits in rear bumper as well. Pics coming soon. 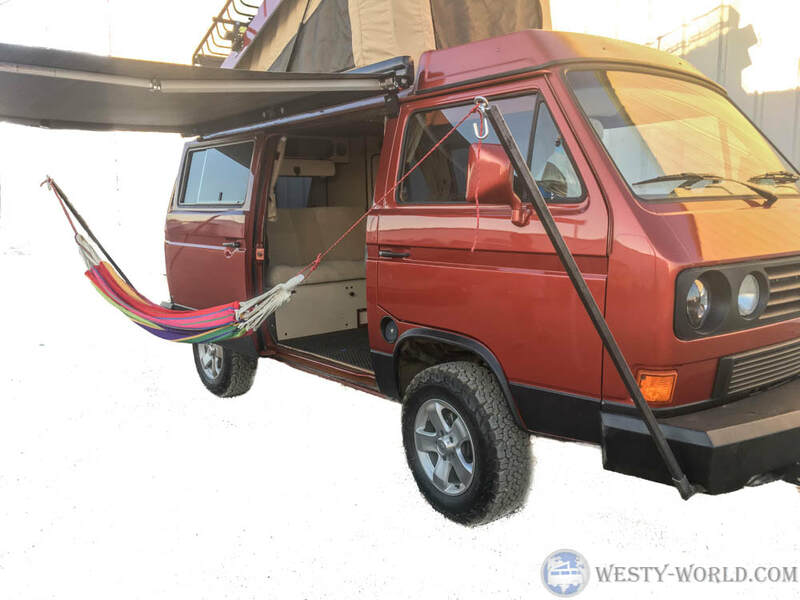 If you want the hammock attachment you need side receivers in front and rear welded in place. 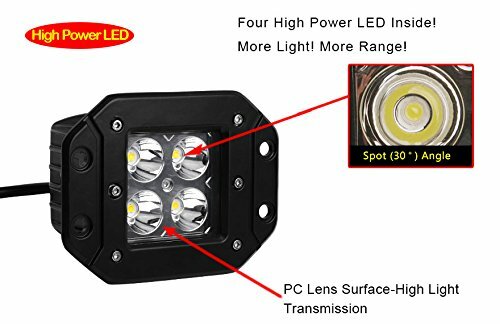 Reverse LED Kit for $110. ​Sand blasted, etched, and twice baked. 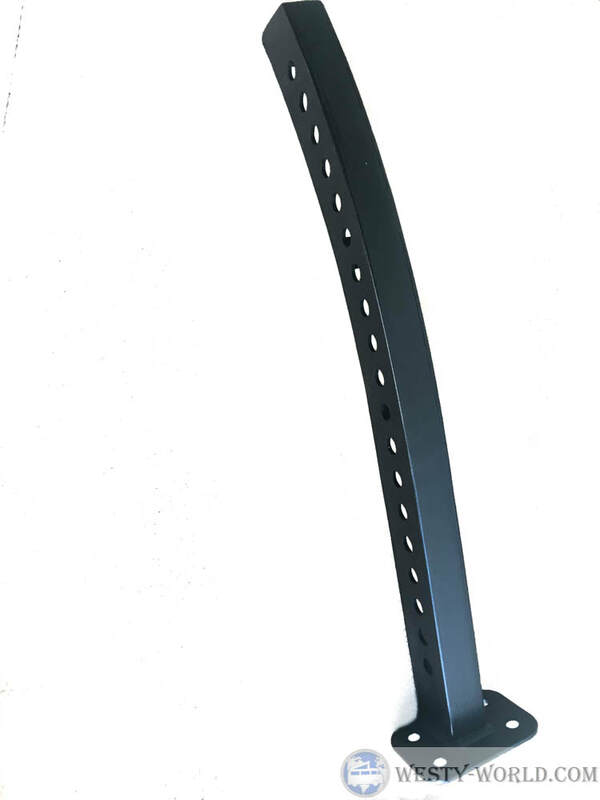 3-stage premium textured black powder coating. 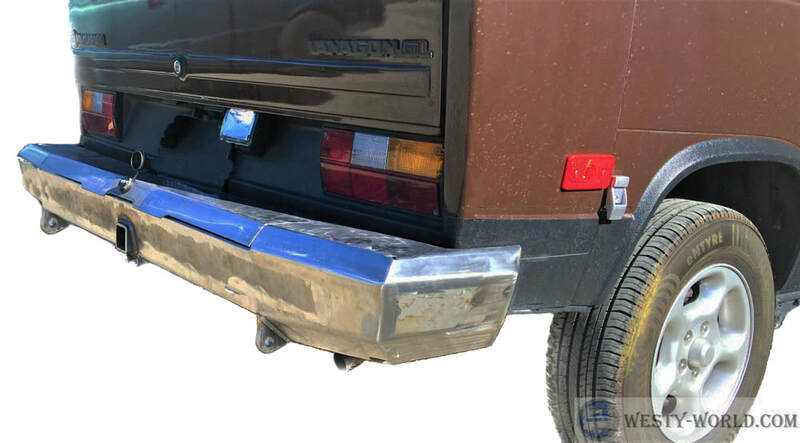 What accessories are available for the Rear HD Bumper? Swing arms lock at closed position, 90 degrees, and 180 degrees. 90 degrees is a must have locking point. 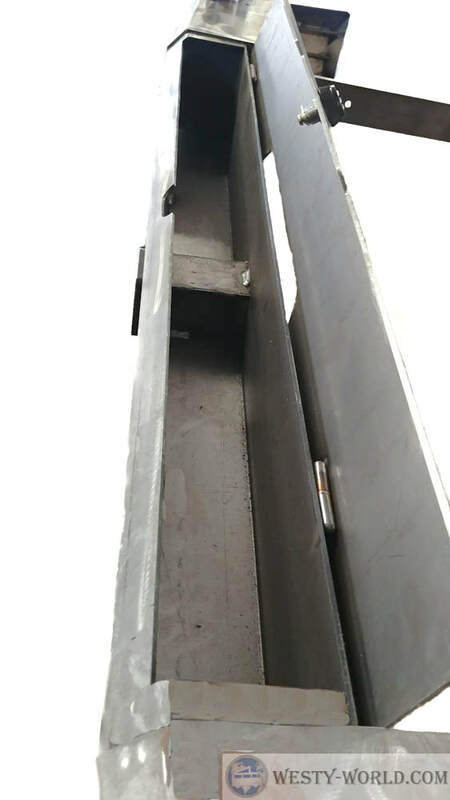 It provides a layer of safety along side freeways or parking lots. 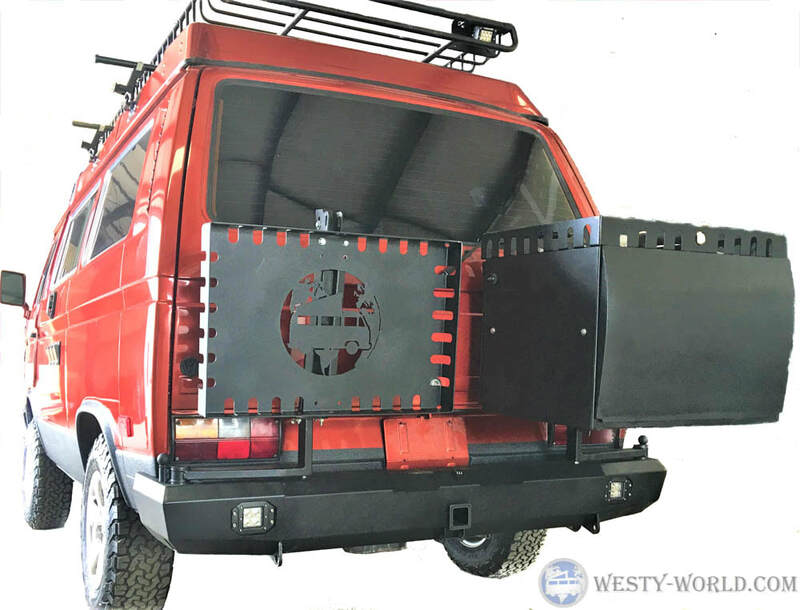 Allows you to gain access to your hatch while allowing traffic to go by. Universal carrier that carries the same shape as the rear hatch. 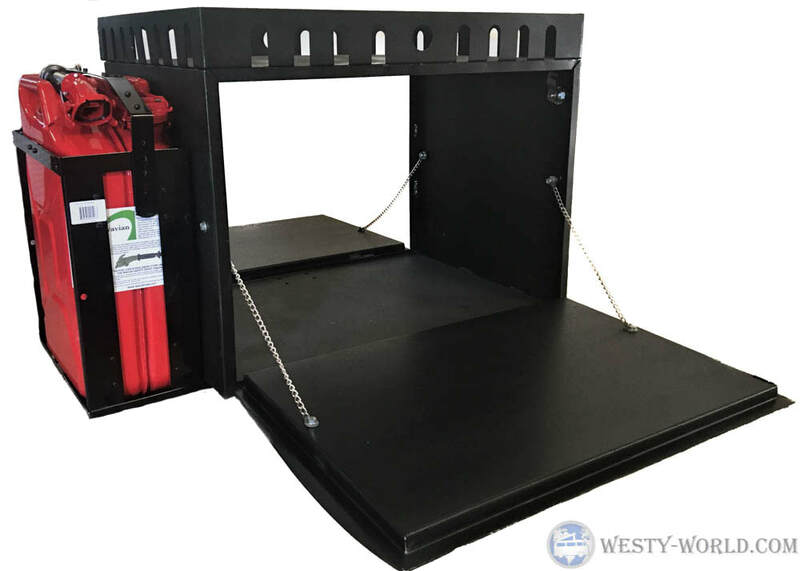 Use this attachment for spare tire holder, drop down tray, high jack, or ladder rungs. 3m grip tape on flat ladder rungs. Rungs sold individually. ​Spare Tire Mount. Swing Arm and Universal Carrier sold separately. Add a storage tray above your spare tire. Optional tray with logo or without. 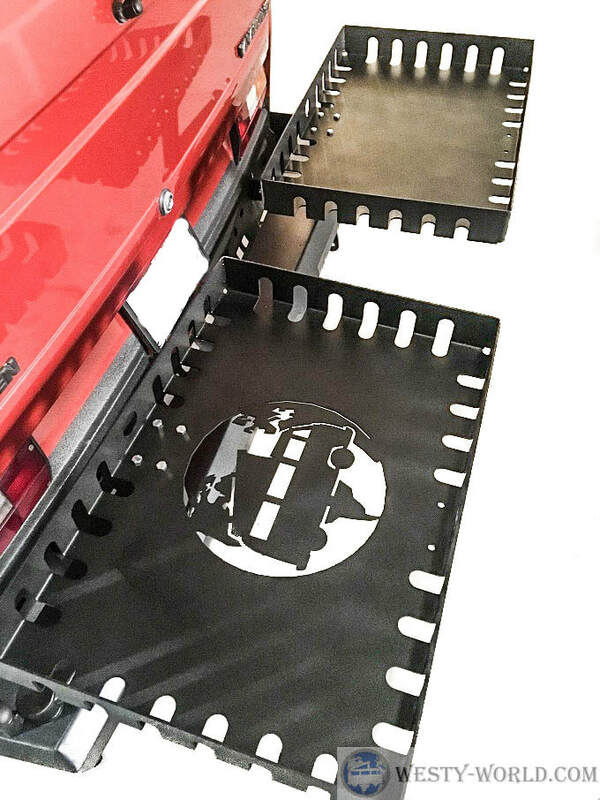 Trays are used for BBQ stands, coolers, extra storage, or setting things on while camping. 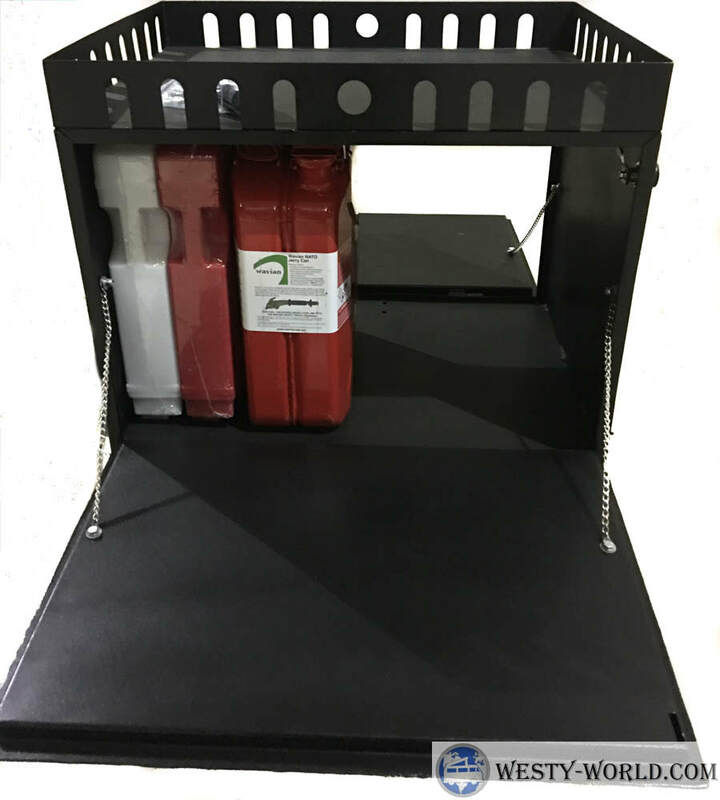 Lock up your gas cans or storage items with this dual combination storage box. Big box still allows 2 bikes on a 4 bike carrier. To fit 4 bikes a hitch extension is required. Big box will fit the telescoping ladder. 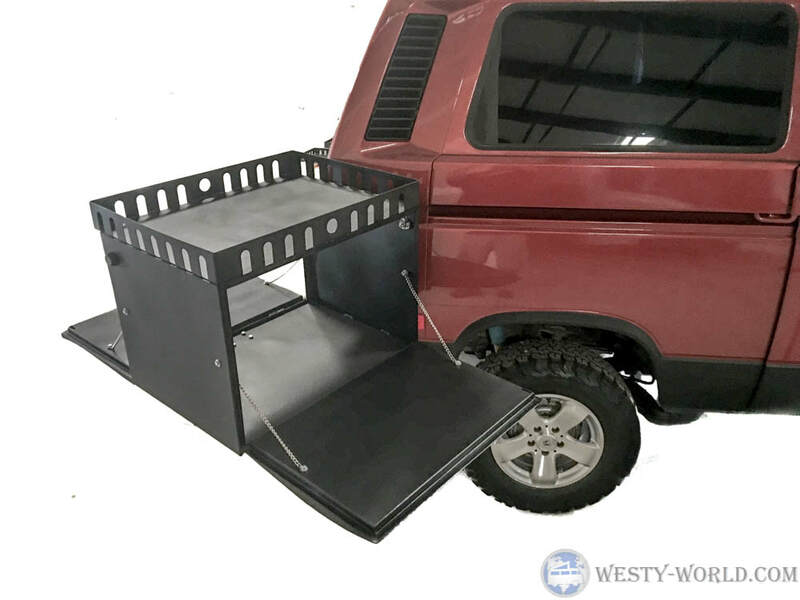 Ladder will fit under the bench seat or in the Extra Large Storage Box. A must have for rooftop access or getting to the upper bunk.